Look carefully at the headlines of today. What do you see? Are you among the majority who see random chaos stemming from gross incompetence, or does something within you stir your senses and intellect enough to question the current trajectory of world events? If it’s the latter, then you must tune in to The Hagmann & Hagmann Report tonight, Wednesday, June 10, 2015 as Dr. Michael Lake appears as our guest. 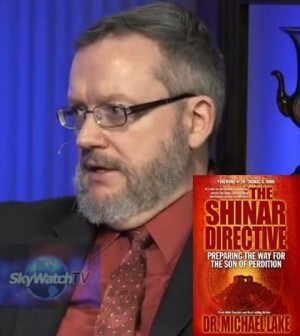 Along with Thomas Horn, Dr. Michael Lake is the author of The Shinar Directive, Preparing the Way for the Son of Perdition’s Return. Dr. Lake holds doctorates in theology and religious education, and he is the chancellor and founder of Biblical Life College and Seminary. Dr. Lake has spent years using his research skills toward understanding the occult, their hidden governance of the nations, their tactics for manipulating and controlling the Church, the reality of mind control, and The Shinar Directive. More importantly, he discovered ancient Hebraic wisdom in the Word of God that can be utilized to discover and neutralize the occultists’ tacit influence in the lives of believers today. Dr. Lake explains that the Luciferian Elite now control three key circles of influence in the world: the financial, political, and religious venues. Today, we see economic harbingers that indicate we are about to experience an economic reset to such an extent that a one world financial order will likely be implemented. A one world economic system is a vital and required component of the much desired New World Order, the Communist utopian agenda of the Luciferian Elite. Additionally, we see the Christian church being changed to accommodate a level of heresy not seen in modern times. The entirety of the Luciferian agenda is being propelled and ushered into its current and final phase or iteration through plans drafted millennia ago – before and leading up to the days of Noah.